Breast augmentation surgery is an area of special clinical interest to Dr. Samuels and is one of our most commonly requested surgical procedures. Dr. Samuels trained at the prestigious University of Texas Southwestern (Parkland and Baylor Hospitals), which has been named the #1 plastic surgical residency training program for the last 10 years. 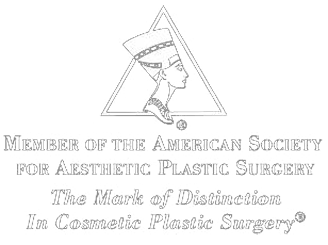 It was while in Dallas that Dr. Samuels trained with the surgeons who developed the tear-drop shaped (anatomically shaped) breast implant, and although she uses it frequently and was very instrumental in all the clinical studies which gained its FDA approval in 2014, she does not believe that there is a single breast implant which suits all patients. Therefore, Dr. Samuels uses round as well as shaped implants, saline as well as silicone, from all three brand name companies, rather than just a single device or manufacturer. She uses a detailed bio-dimensional approach based upon each patient's unique breast measurements and an assessment of soft tissue needs in order to select the best implant for each woman. As women themselves, Dr. Samuels and her staff are uniquely equipped to understand the needs of the female patient seeking breast enhancement surgery. Saline - Saline implants are filled with sterile saline, or salt water, which is a natural body substance. These implants are placed within the implant pocket and are then inflated with saline to the desired volume. While the incidence of rupture is low, it is slightly higher than with silicone gel due to the fluid nature of the filler as well as the presence of the fill port which can fail. Since salt water is absorbed by the body, a rupture is more easily detected by the patient. Should a rupture occur, all of the brand name implant manufacturers provide a lifetime warranty for replacement of the device. Also since the implant is filled with a fluid, the risk of rippling, wrinkling and heaviness in the lower pole of the breast are greater than with a silicone device. The more soft tissue coverage provided, the less noticeable these findings will be. For this reason, most saline devices are placed beneath the pectoralis major muscle if possible. Silicone (Gel) - Round smooth and textured silicone implants are filled with a semi-cohesive silicone gel that gained FDA approval in 2006. These implants are unlike the old liquid gel devices used previously, in that the gel is thicker, rupture and capsular contracture are infrequent, and if there is a device failure, the gel sticks together and would be unlikely to leak into surrounding breast tissue. If a mammogram were suspicious for implant rupture, an ultrasound or MRI might be indicated for diagnosis. Cohesive round devices are available in three different projections. Many women believe these gel devices feel softer and more similar to normal breast tissue than saline implants, with less chance of detectable rippling or wrinkling. Fully cohesive shaped ("Gummi-bear") implants - All three brand name implant manufacturers now make anatomically shaped, more cohesive silicone gel implants, some of which gained FDA approval in 2014. Allergan still has two Style 410 devices available only to clinical trial patients and chosen investigators. Dr. Samuels is one of fewer than 30 surgeons in the U.S. selected to complete the clinical trial of Allergan's Style 410 "Gummibear" device. While this device is extensively studied and widely used in Europe, it remains one of the best devices for revision patients. Since Dr. Samuels is one of the few surgeons in the U.S. who is approved to use this device, patients come from all over the U.S. for evaluation. Shaped devices provide a great option for patients who desire a more natural breast shape. Also, the more cohesive the filler, the more "form stable" its shape will be, and the lower the capsular contracture and rupture rates will be. This surgery is usually performed for women whose breasts are undersized in proportion to the rest of their body, or women who have lost fullness due to pregnancy, aging or weight loss. The surgery may also be performed for congenital deformities or breast asymmetry. The surgical procedure involves the insertion of an individually selected implant chosen to provide the look and feel of natural breast tissue. The incision location is chosen individually for each patient, but usually is concealed in the breast fold, axilla or areola. Implants may be placed either on top of or beneath the pectoralis major muscle, depending upon individual characteristics of the implant and each patient. Routine screening of implanted patients by mammography proceeds according to the recommendations of The American Cancer Society and may be supplemented by MRI at intervals for gel patients, although this is not made mandatory by the FDA. You should alert your mammographic facility to the fact that you have breast implants so that additional views will be taken to adequately visualize the breast tissue. If this is done, breast cancer detection rates are unchanged after implant surgery. Likewise, breastfeeding is also possible following implant placement, but we would like to know if this is planned when we discuss surgical timing and incision selection. Dr. Samuels and her staff will give you specific instructions regarding surgical preparation including medications to avoid and nicotine cessation two weeks prior to surgery. The surgery is performed under local anesthesia with intravenous sedation or a light general anesthetic as an outpatient. Dr. Samuels is an owner at Baptist Eastpoint Surgery Center and prefers to utilize this 5-star facility (with special pricing), but can also accommodate patients at Baptist Hospital East, Norton Brownsboro Hospital, and Jewish Hospital Medical Center East. Quick Recovery Breast Augmentation - While all surgeons do not utilize this surgical technique, Dr. Samuels learned this carefully controlled technique while training in Dallas with the world's leading breast surgeons. This technique not only limits true recovery to merely days, it also drastically reduces revision rates with breast augmentation to less than 5%. View our blog postings on the Quick Recovery Technique and Revisional Surgery to learn more about them. All sutures are dissolvable and patients may resume normal daily activities immediately.